This year, we celebrate an important milestone for our brand—the 130th anniversary of Four Roses. From our founder, Paul Jones, Jr., to our current master distiller, Brent Elliott, our passion for quality and pride in handcrafting award-winning Bourbon is something that has been evident in our smooth and mellow Bourbon for 130 years. 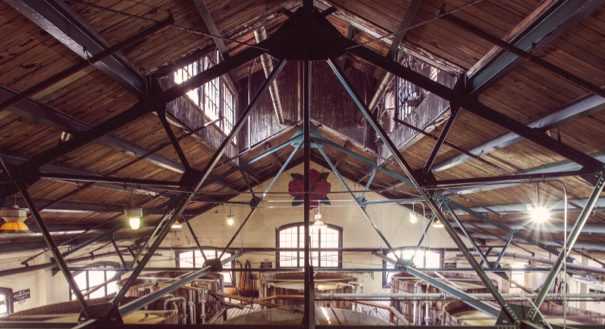 Our long history of dedication to the brand is something that you’ll recognize in every sip of Four Roses. We will be celebrating this special anniversary all year, but are really looking forward to some wonderful events and chances to mingle that are planned for this fall, so stay tuned on updates. Take a look at how it all got started, and some highlights throughout our history here. Be sure to also follow us on Facebook, Twitter and Instagram, as we will be sharing more information and relics from our past throughout the year.